(Auckland, New Zealand – February 1, 2019) – Hard rock four-piece Like A Storm release their new music video for “Complicated (Stitches & Scars)” today via Century Media/RED MUSIC. Fans can watch the music video HERE. The music video was shot by Ron Thunderwood and edited by Sam Shapiro. “Complicated (Stitches & Scars)” is off of the band’s 2018 full-length release, Catacombs, and is climbing the US Rock Radio charts currently at #31 on the chart. Listen to the radio edit HERE. Catacombsdebuted on the Top 5 Billboard Heatseekers Charts, Top 50 Billboard Emerging Artist Charts, and Top 100 Billboard Album Charts. 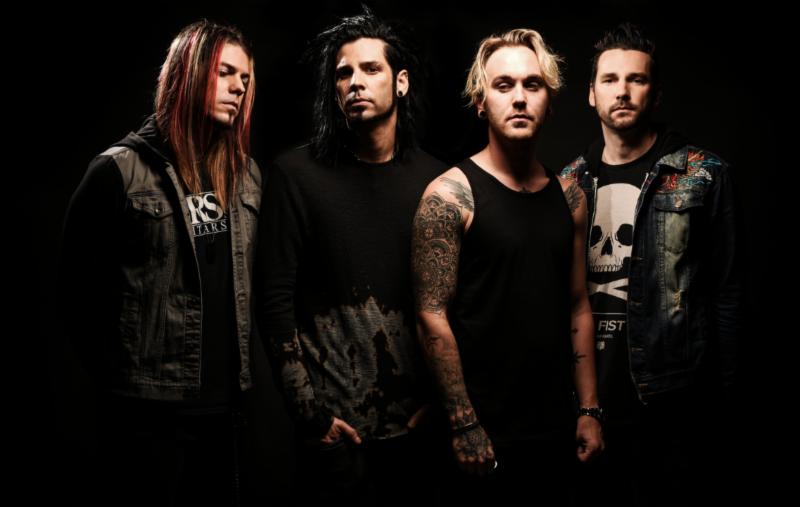 The album was produced by Like A Storm’s very own Chris Brooks, Matt Brooks, and Kent Brooks and is available for purchase and on all streaming devices HERE .